Ozone (O3) is a photochemically formed reactive gas responsible for a decreasing carbon assimilation in plant ecosystems. Present in the atmosphere in trace concentrations (less than 100 ppbv), this molecule is capable of inhibiting carbon assimilation in agricultural and forest ecosystems. Ozone-risk assessments are typically based on manipulative experiments. 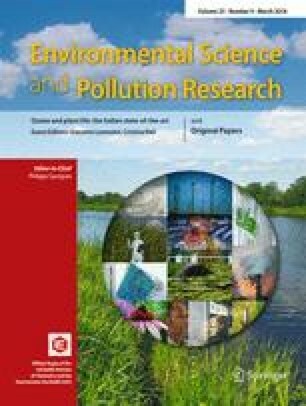 Present regulations regarding critical ozone levels are mostly based on an estimated accumulated exposure over a given threshold concentration. There is however a scientific consensus over flux estimates being more accurate, because they include plant physiology analyses and different environmental parameters that control the uptake—that is, not just the exposure—of O3. While O3 is a lot more difficult to measure than other non-reactive greenhouse gases, UV-based and chemiluminescence sensors enable precise and fast measurements and are therefore highly desirable for eddy covariance studies. Using micrometeorological techniques in association with latent heat flux measurements in the field allows for the partition of ozone fluxes into the stomatal and non-stomatal sinks along the soil-plant continuum. Long-term eddy covariance measurements represent a key opportunity in estimating carbon assimilation at high-temporal resolutions, in an effort to study the effect of climate change on photosynthetic mechanisms. Our aim in this work is to describe potential of O3 flux measurement at the canopy level for ozone-risk assessment in established long-term monitoring networks. The CREA team wants to acknowledge the national projects financed by Regione Lazio-LazioInnova URBANFOR3 (FILAS-RU-2014-1021 (LR 13/2008)—“Ruolo della forestazione urbana nella mitigazione delle emergenze climatiche e dell'inquinamento: strumenti innovativi di pianificazione e valutazione”) and the EU LIFE program MOTTLES “Monitoring Ozone Injury for Setting Critical levels” (LIFE15 ENV/IT/000183). The research was also made possible thanks to the following: the Scientific Commission of Castelporziano and the Multi-disciplinary Center for the Study of Coastal Mediterranean Ecosystems. We thank the General Secretariat of the Presidency of Italian Republic for financing the CASTEL4 project and the Directorate of Castelporziano Estate. Abad Chabbi acknowledges the H2020 ENVRIplus Grant Agreement number 654182 for ongoing support.